Last week Microsoft announced the new https://graph.microsoft.io/ as the final name and endpoint(s) for what they were previously refering to as the “Unified API”. 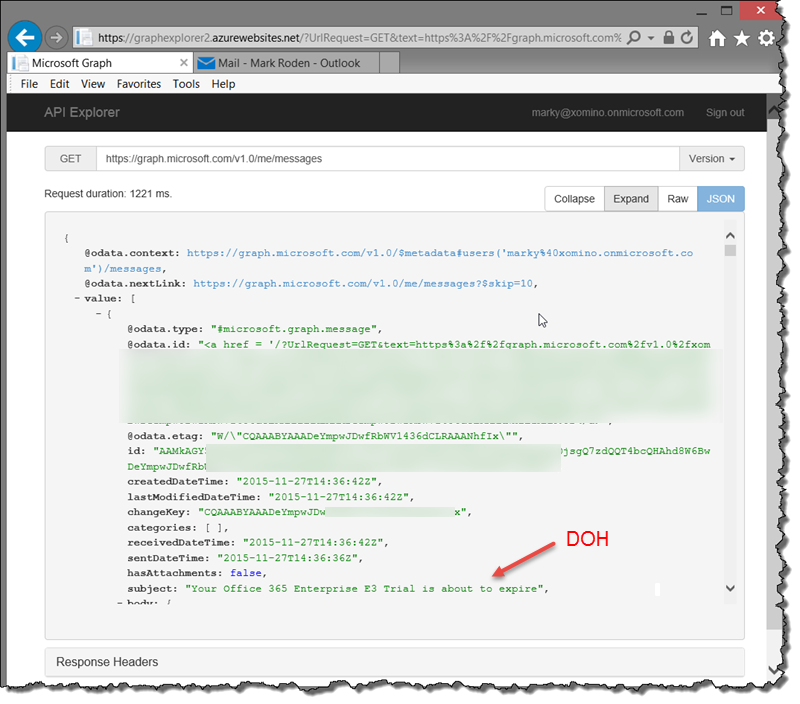 The idea is that for anything related to Office 365 within your organization, you should be able to get permitted information from the graph through REST APIs. 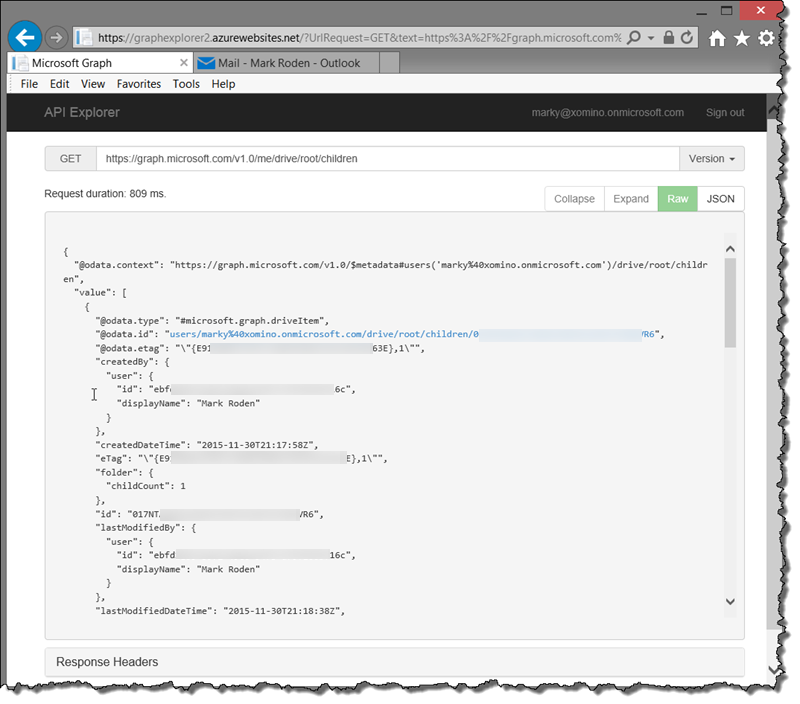 This opens the world of O365 to integration into any other platform. I started to play with it and here’s a quick overview of what I found – lots to play with! 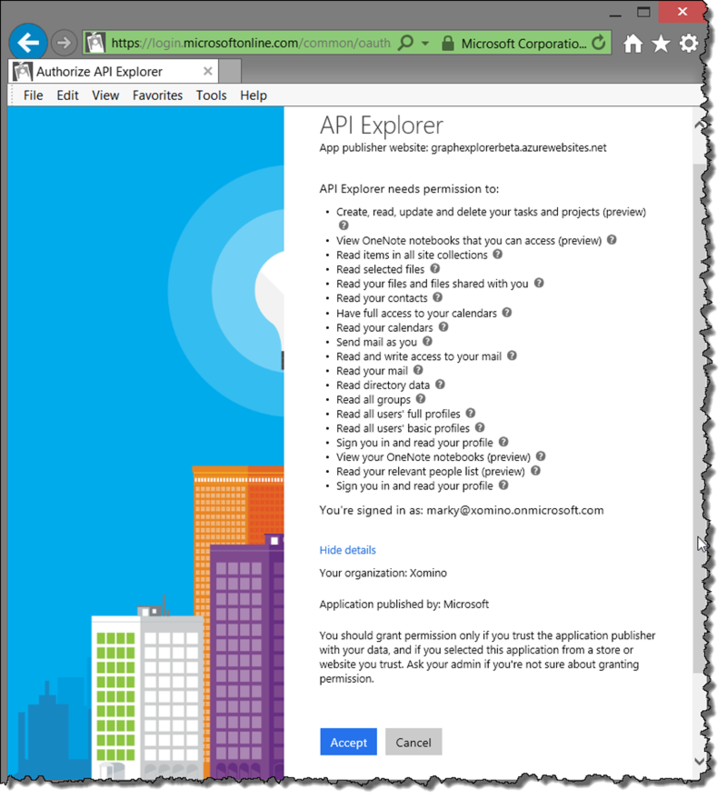 You will be asked to Accept permission to give the API explorer access to everything that is “you” in O365 – this is no different from going into google developer area and giving it permission to read your email. 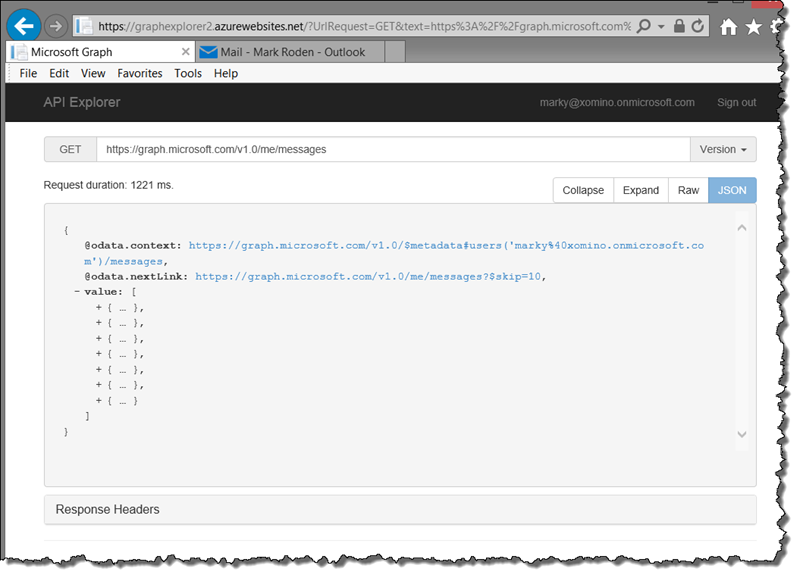 For more information on Graph authorization check out the document – more to come on that in later articles me thinks. This is not the same as how you would have a user grant permission in your app – but works for the example. 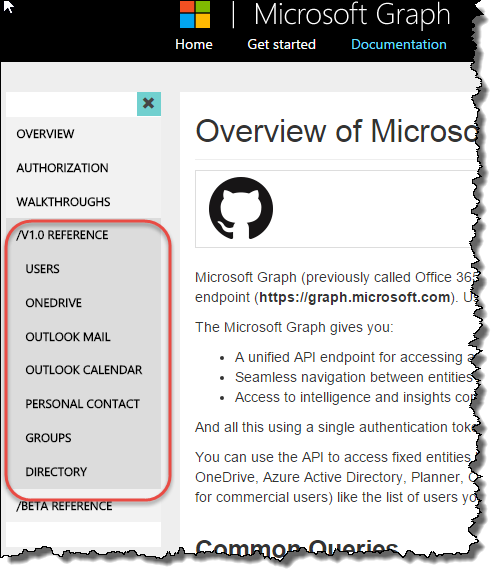 There is an enormous amount of information about “you” and other users in O365 – just waiting to be explored….